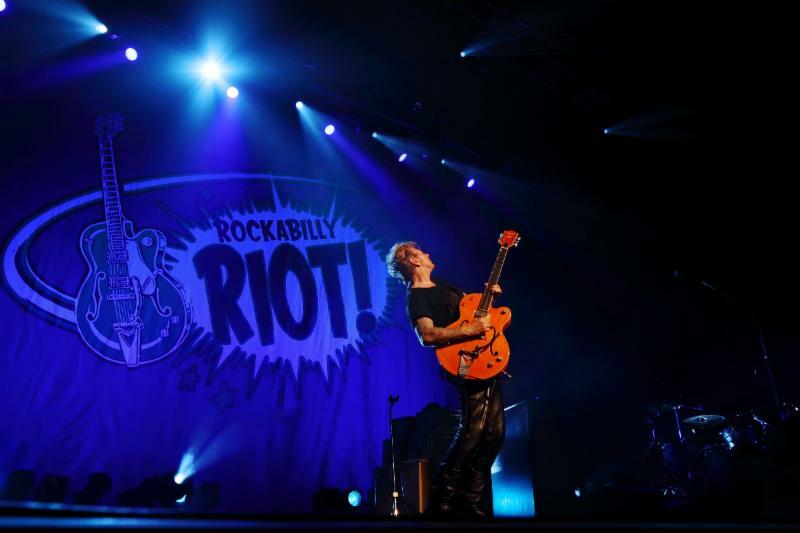 Iconic guitarist, songwriter, vocalist and 3-time Grammy-award-winner BRIAN SETZER will launch his “ROCKABILLY RIOT!” tour Wednesday, June 7 in San Diego, CA, and audiences can expect his rockin’ style and guitar assault to leave them smiling. Armed with Stray Cats gems like “Rock This Town,‘” “Rumble In Brighton” and “Stray Cat Strut” plus other electrifying songs like “Let’s Shake” from his latest solo studio album Rockabilly Riot! : All Original, SETZER will also make stops in Las Vegas, Chicago and Atlantic City, among other cities throughout the U.S., before heading overseas in July. In other exciting SETZER news, the BRIAN SETZER ORCHESTRA will celebrate their 25th anniversary in style with an exclusive landmark show at the Hollywood Bowl in Los Angeles on August 2. Under the stars at the legendary venue where they’ve performed four times, SETZER’s trademark guitar work and vocal stylings will be matched with his 19-piece orchestra‘s rockin’ big-band horn arrangements, making for an unbeatable combination. Group tickets are now on sale, with artist pre-sale beginning May 2 and public on-sale May 7. Find more information here. 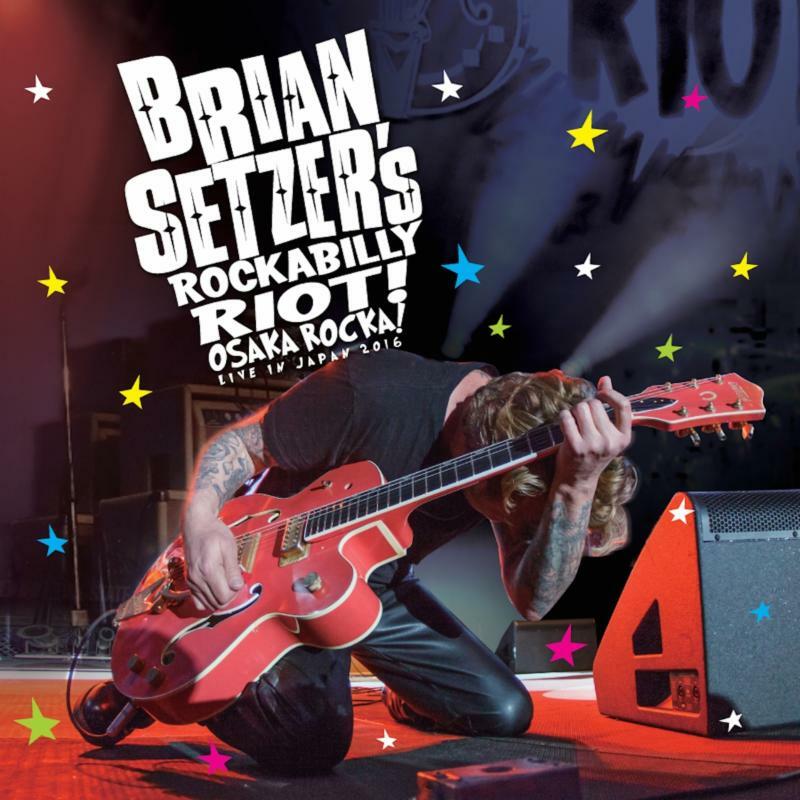 Iconic guitarist, songwriter, vocalist and 3-time Grammy-award-winner BRIAN SETZER is a “Musician’s Musician” credited with continually taking chances with innovative and daring musical styles. 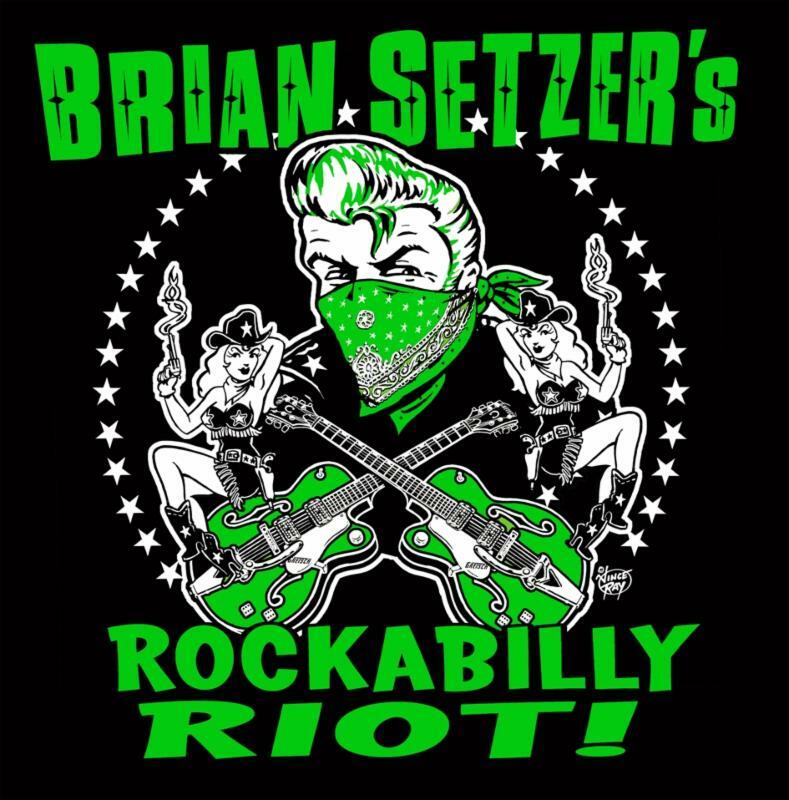 Setzer is widely credited for taking two forgotten genres, rockabilly and swing, adding his own blend of gunpowder and rockin’ style, and completely reinventing and single-handedly resurrecting them in the process. Along the way, he has scored chart-topping hits, sold 13 million records and received the Orville H. Gibson Lifetime Achievement Award throughout his decorated career as founder/leader of the Stray Cats, his 19-piece Brian Setzer Orchestra, and as a solo artist. He is consistently cited as one of the world’s greatest living guitarists, and has a best-selling, extensive line of elite Gretsch signature model guitars bearing his name. BRIAN appeared in the 1987 film, La Bamba, portraying rockabilly pioneer Eddie Cochran. In 2002, BRIAN earned the privilege of being one of the few musicians to be animated in an episode of “The Simpsons.” That same year, SETZER was personally requested to induct Chet Atkins into the 17th Annual Rock and Roll Hall of Fame. SETZER had the honor of being invited in 2006 to perform at the White House for the President of the United States. In 2014, SETZER received the distinct honor of being asked by the Smithsonian Institution in Washington, D.C. to donate a replica of his original 1959 Gretsch 6120 “Stray Cat” guitar, joining an elite collection of iconic treasures at the museum.